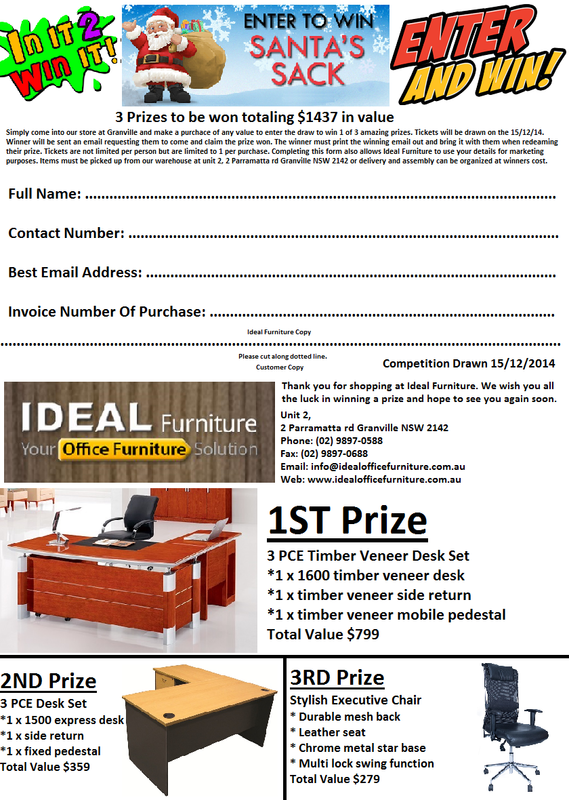 Ideal Furniture – Your office furniture solution is holding the biggest competition of its life time. 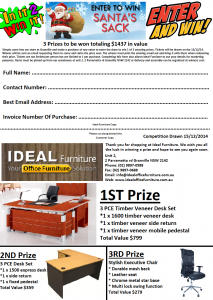 Enter to win 1 of 3 amazing prizes. 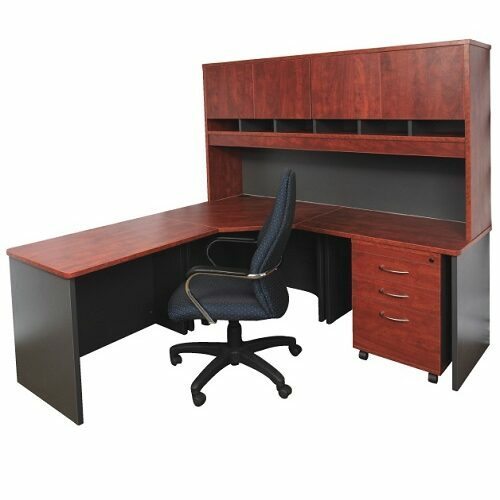 This weekend we have great deals on all office furniture. These deals are only for this weekend. Also commonly known as Computer injuries, Musculoskeletal Disorders. 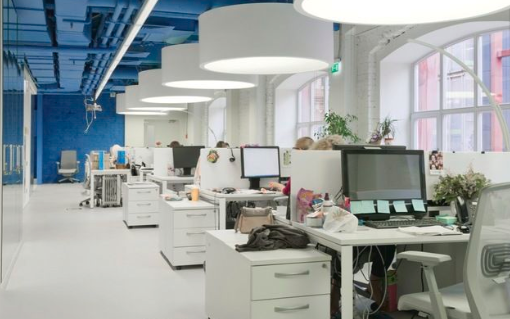 These include repetitive strain injuries and back pain, posture disorders mostly due to incorrect seating on office chairs.